Although I don’t feel like I’ve earnt this award, I am grateful for Nonalsoholicstudent adding me to their nomination list. I think that all new bloggers deserve some recognition and should be rewarded for their expression and success as a blogger so far. If you haven’t checked out Nonalcoholicstudent blog you need to go and have a look now, I find their blog so relatable and love reading their posts. For me I find it a challenge to sit and read something unless it’s super interesting and engaging from the beginning. Well, I’m alright, stuck at work and was stuck in A&E last night for 4 hours. Apart from that I’m great! What are you favourite kinds of things to write? I love writing about my own experiences, how I overcome things and how to strive for what we want in life. The best feeling is knowing that you have inspired, motivated or even helped someone get through a tough time. YOUR words have encouraged even 1 person to do something different. I also like to write tips and experiences about what I have found out about blogging so far. I personally had to dig around to find some pointers on how to grow traffic, what to write about etc., but here I’ve put a little guide about what I’ve found Becoming a blogger. What do you snack on when you’re writing? Well, this is probably THE most boring food to ever snack on…ricecakes. I don’t know why I like them, I just do okay! They have basically no calories and you can just keep eating them without feeling bad about yourself. I feel like my special skill is adaptability. When it comes to people, I pick up on their traits and adapt myself to be able have a conversation, and empathise with them. What’s the silliest moment in life that you can recall? My silliest moment…that’s a tough one when there’s so many. Before I left to start my placement, my boyfriend, his best friend (my housemate), and myself all went to the cinema and were loving life. We arrived back at my uni house where my boyfriend opened our fridge to a 4L milk carton/bottle to fall straight out onto the floor. At this moment I’m nearly wetting myself on the floor. I get up to help clear up, only to slip straight into the fridge doing the splits in some semi-skimmed milk! When have you laughed the hardest? I think I laughed the hardest when I was in my living room with a different housemate (I had 10). She had about 5 or 6 IKEA coloured drinking glasses. Now, she’s very well known for being clumsy and breaking things. We were watching the Great British Bake Off (typical Brits). One of the contestants had dropped all of their pastries which set us both off into fits of laughter. However, she jolted her arm and knocked this glass off onto the floor where it bounced twice and then exploded where we sat in a shower of glass. (You know when you start laughing and you can’t stop so anything sets you off). 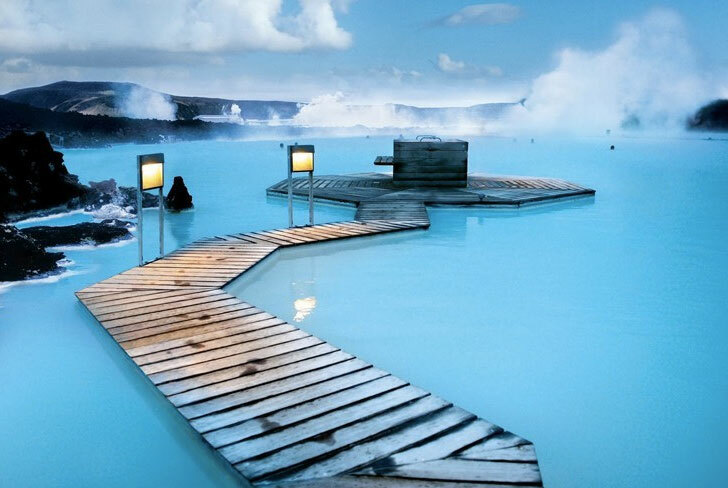 I need to visit Iceland blue lagoon hot springs (have threatened the boyfriend). They look amazing and I just need to go there end of. Please tell me you don’t need to go here because you might need professional help. If money was no issue, what would you love to do for a living? If you could be in any fictional world for a day, what would it be? Imagine if DisneyLand was like a place where all the characters lived…that’s where you’ll find me. Where is your ideal holiday destination and why? What is your biggest success in life so far? What is the best purchase you have every made? Like my nominator said on their post, if there is anyone else reading this who would like to answer these questions, I’d love to nominate you guys as well! Let me know and I’ll add you to the list!